At about this time of the year I usually start lifting material from the garden and assessing how suitable it is for use as future bonsai. I am fortunate enough to have a reasonably large garden with lots of established and mature shrubs, some over thirty years old. 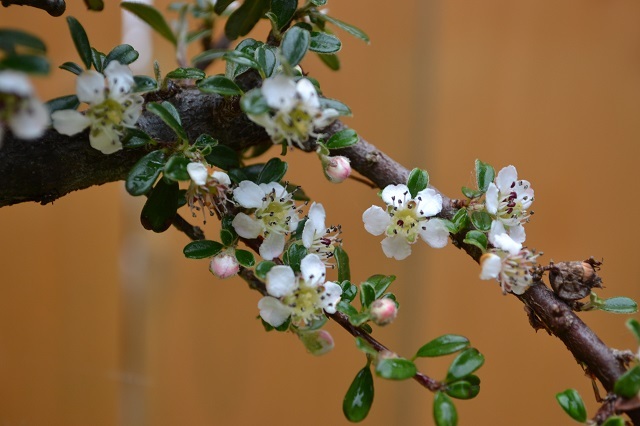 One or two species have been worth considering and are being developed as future bonsai material. 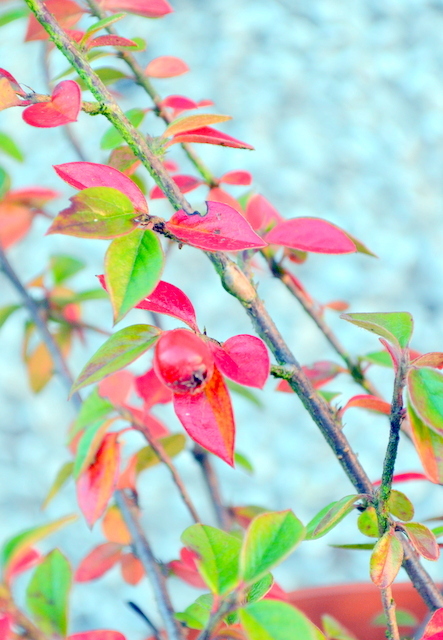 The photo above shows a variety of cotoneaster that self seeded in the flower bed before my arrival at the property. I’ve been trimming the top growth each year but nothing else. 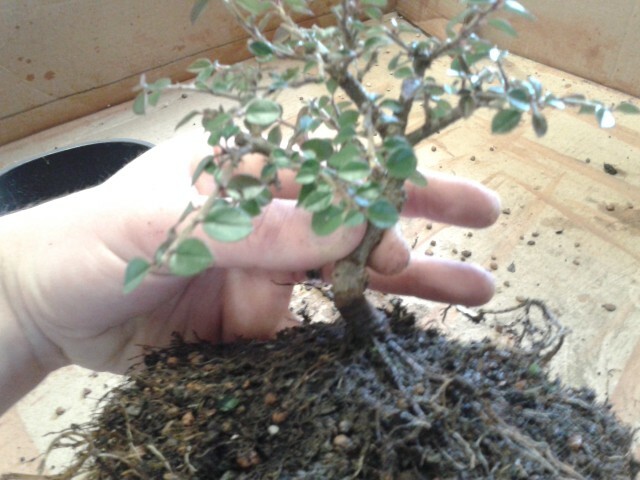 I’m clearing the bed to make way for bonsai/vegetables so this shrub was being lifted anyway. 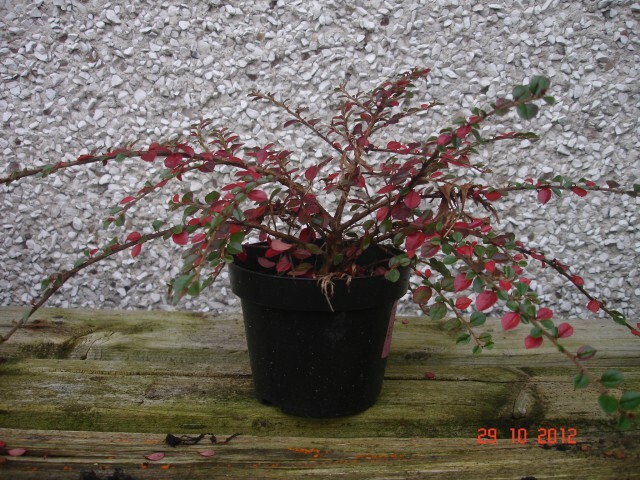 The leaves are a bit large but an attractive shape and colour. I thought I would lift it and have a look at the trunk line and any surface roots. My conclusion? Put it somewhere else in the garden! The surface roots are one sided and a bit lacking, the lower trunk curves and is then very straight with little taper. 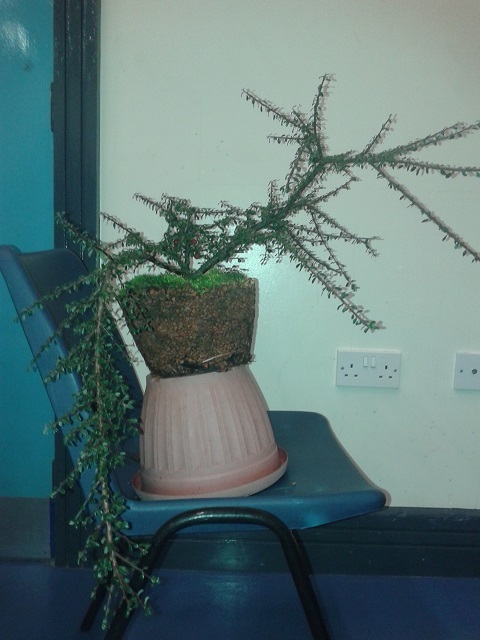 Pretty unappealing and very little worth keeping as a future bonsai. 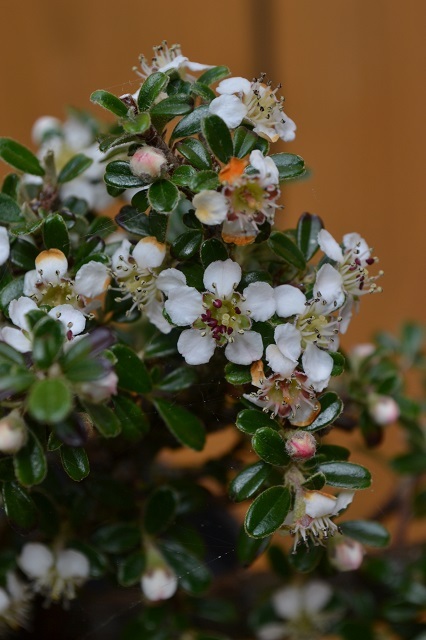 Still a nice garden shrub though so it went in a gap in a new flower bed out the front. Took these hardwood cuttings from a shrub in the garden a few years ago. Looking ready to plant out. Even a wee berry on one of them. Love the autumn colour! In the spring I’ll put a couple in the flower bed and maybe start training a couple in little pots for short term bonsai development. Some beautiful colours around on the bonsai bench and in the flower beds. 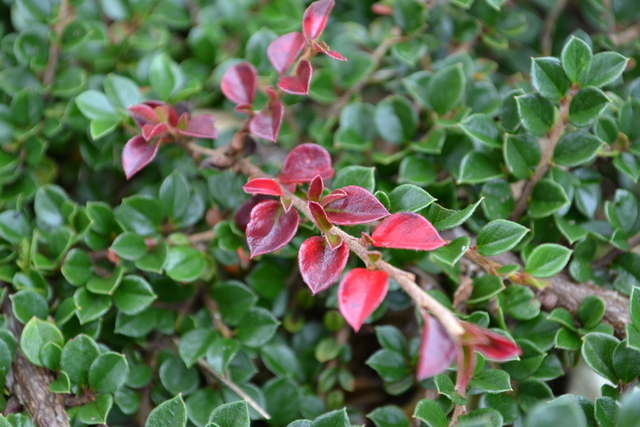 This small leaved cotoneaster is still very green. Except for one small branch. A great wee splash of autumn. 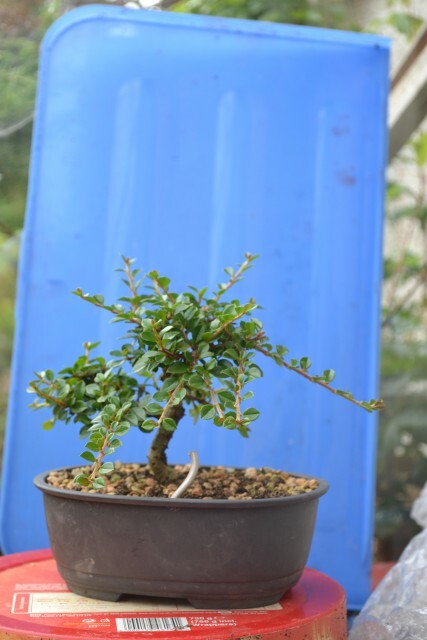 The above seedling was given to me in 2011 by my mother as something that I could put into the garden at some point but at that point I had very little in the way of bonsai material so I decided that I would try and grow it as a very small tree. I left it to grow for a couple of years and fed it heavily with chicken manure and a liquid feed. 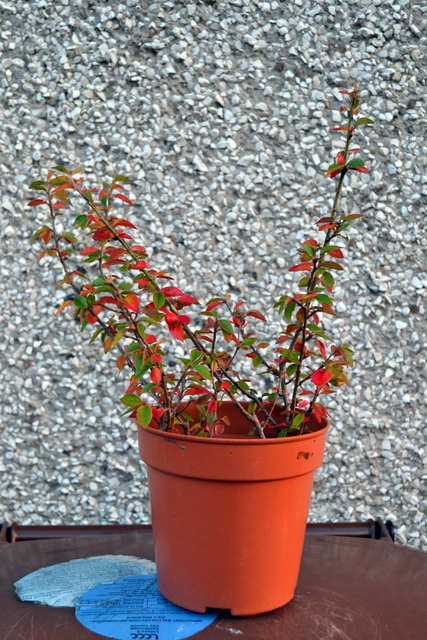 The autumn of 2013 provided some great red foliage before it dropped and I decided to repot it the following spring. 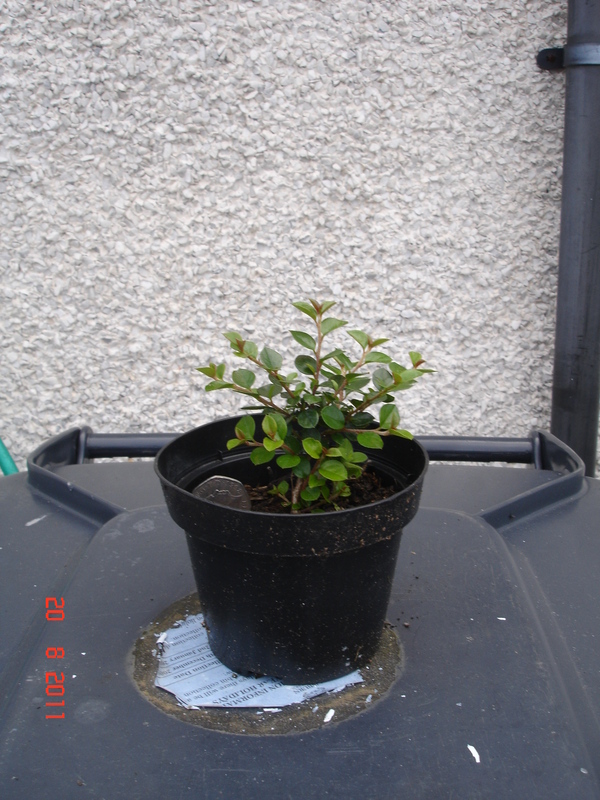 The next photo shows it in a small mica training pot with free draining soil. A lot of the extended branches were cut back and one sacrifice branch left to thicken the bottom of the trunk. 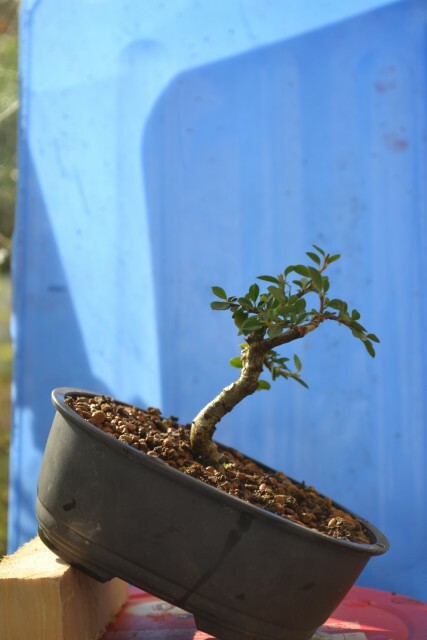 The tree grew so well that I repotted and rootpruned the following spring to spread the nebari some more in order to thicken the base further. The sacrifice branch was removed. The roots show some promise but I’ am keeping them covered to encourage them to thicken as much as possible. The same container was used for the tree. I reduced all of the long shoots and then cut back the primary branches as they were too long and straight. This has created some good taper which I am happy with. I felt the movement of the tree was to the right was I looked at it but the bottom branch extended the opposite way. I removed it and tilted the pot to create a better image. 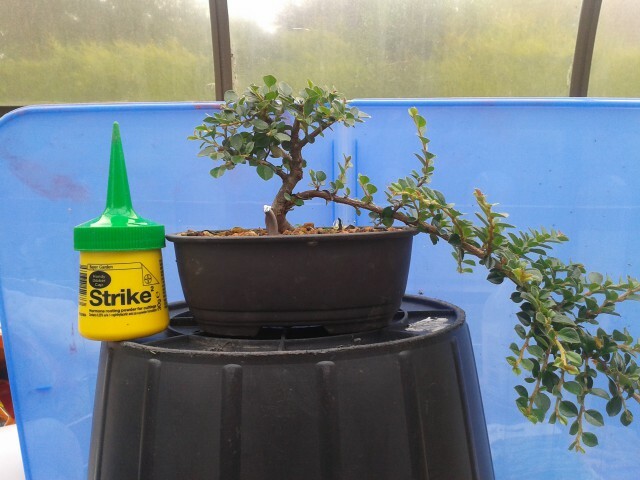 I don’t think I’ll repot next year – just concentrate on developing ramification on the newly tapered primary branches. I’m hoping for some of that beautiful red colour again in a few months. At present the tree is only 11cm tall and I intend to keep it at this height. Today I got a few snaps showing the attractive berries on this Cotoneaster that I grew from a hardwood cutting a few years ago. 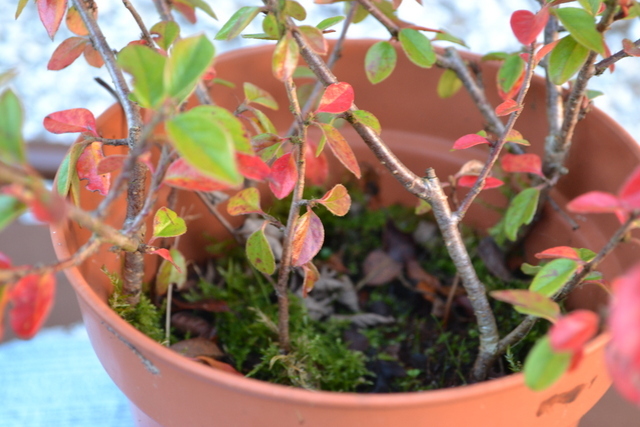 I’ve got a few of this species either growing in pots or the ground but this is the only one that displays red berries and I really like it at this time of the year. Back in May it had some tiny white flowers so this is a future bonsai that I know I’ll enjoy looking at throughout the year. P.S. 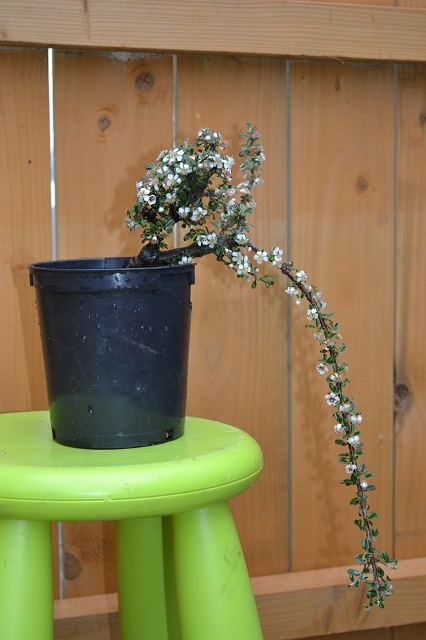 Can anyone confirm is this a Cotoneaster Microphylla?